Storytelling is a means of relaying information through narrating. It is primarily used in knowledge management, child and adult education, journalism, and psychotherapy as well as marketing, PR and advertising. Storytelling occurs when knowledge, ideas, products or other information is conveyed to the recipient by invented or real stories. Using the story allows the information to be presented as simply as possible and can therefore be easily comprehended and ingrained in long-term memory. 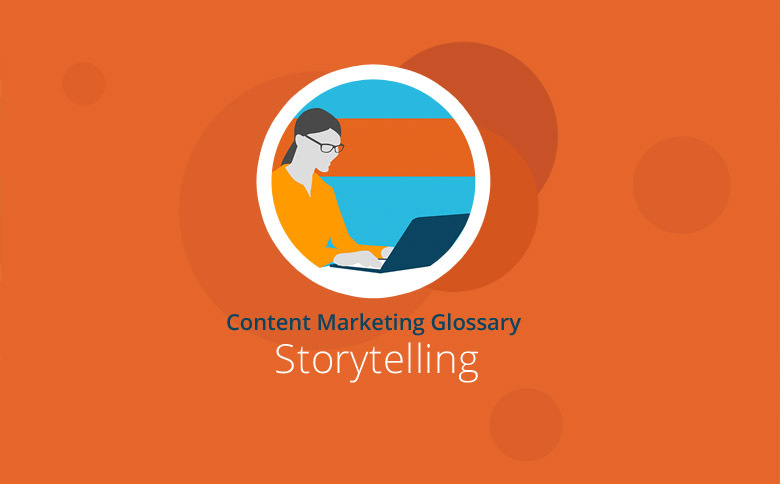 Companies often use storytelling in knowledge management and for employee training to convey data, values, goals or knowledge of the company to employees. The fields of child and adult education and journalism use storytelling to impart information in a simplified or exemplary form. In psychotherapy, stories serve to outline problems and work out solutions. And advertising, PR and marketing, especially content marketing, all use forms of storytelling to exploit the memorable and emotional effects of stories in order to embed their message in the memory of the targeted recipients. In many areas of business, conveying messages, knowledge and data, and anchoring the information in the minds of recipients, is a necessary but difficult task. Not only is the information often complex, but the volume of information continues to increase over time, and the mental capacity of its recipients remains the same. For many people, and many companies, knowledge about products, data and processes are becoming increasingly important. More and more advertisers are vying for the customer’s attention, and it is becoming much more difficult to package complex information in a clear manner. Storytelling tries to simplify information while presenting it in vivid detail. This not only gains the recipient’s interest but also makes the content more memorable. Thus the basic aim in storytelling is to make information simple and appealing so that cognitive access is made easy for the recipient. part of everyday communication. Examples range from gossip over coffee to the official history of how the company was founded. The resolution, either succeeding – or failing – to solve the problem. Stimulating: A compelling story encourages the recipient to listen and engage with the subject matter – this is true both for knowledge exchange and for product promotion. With a well-targeted introduction, a good story can catch the attention of the recipient and motivate him to listen, participate, click and so forth. Emotive: A good story invites an emotional response from the recipient. What emotions are prompted depends on the story, the theme and purpose: Both positive emotions such as joy, security or trust, which can motivate a customer, and negative emotions like fear and anxiety can ingrain a topic, or fix a product, in the memory. Moreover, in advertising, it may be important for the consumer to transfer emotion to the product, or even to an entire product world. That’s why brands like Apple and Coca Cola try to persuade customers to identify with their corporate philosophy and adapt their stories accordingly. Inspiring: A story with great content and an engaging style can generate enthusiasm for an idea, process, brand or product; recipients may even become so motivated that they continue to spread the story voluntarily. Additionally, many experts believe enthusiasm is an important component of memory and plays a critical role in learning, so topics that inspire are much easier to remember. Captivating: Especially in advertising and journalism, compelling storytelling can also determine whether brands or authors are able to forge links with their consumers and readers. Thus an educational, entertaining and informative website can appeal to recipients who will become regular visitors. The more emotionally stimulating, inspiring and captivating a story can be, the more effectively it achieves its purpose. Great stories ensure the recipient – whether consumer or learner – identifies with the narrative and takes in the necessary information easily. Knowledge Management: Company safety regulations explained through a fictitious employee in a comic book. Child and Adult Education: classroom role-play to represent real life problems. Journalism: Using stories of real people as a basis for explaining the war in Syria. Advertising: TV commercials including protagonists and events. PR and Marketing: A company’s origins and history posted on its corporate website. Storytelling can exist in many forms. These range from the CEO’s informal speech for the staff at the Christmas party to multimedia conference presentations before thousands of listeners. And books, songs or promotional videos, each with a potential audience of millions, almost always take full advantage of storytelling techniques. The Internet provides many opportunities for interactive, multimedia storytelling that can employ a variety of materials, such as audio, text, video and images. A good example is an online newspaper presenting topics using image, text and sound. These are designed to allow the user to interact with, and move between, formats within the report, which will influence the sequence and depth of information presented. The Snowfall report in the New York Times is a well-known example of this format. Storytelling has become a popular method used in a variety of fields and industries. Not only artists, journalists, educators and psychotherapists but also the marketing and advertising industry take advantage of this method, conveying their message and information in narrative form. The characteristic features of a story are a great way to stimulate, influence, inspire and captivate a recipient. As a result, important messages can reach their intended recipients and can be readily absorbed at a deeper level. Storytelling occurs in various media and forms: The Internet currently provides a medium for interactive storytelling, which presents unlimited new possibilities for good storytelling through video, text, slideshows, animations and multimedia features.